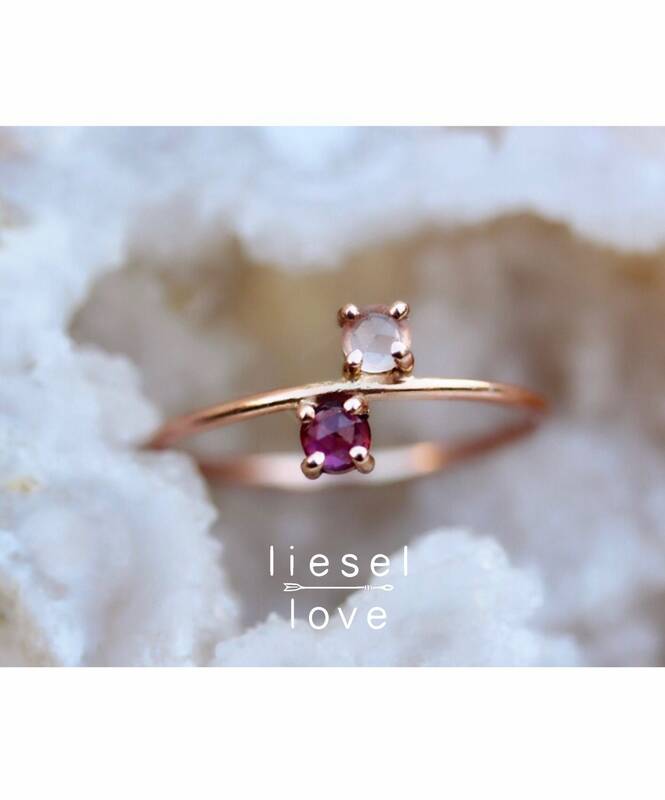 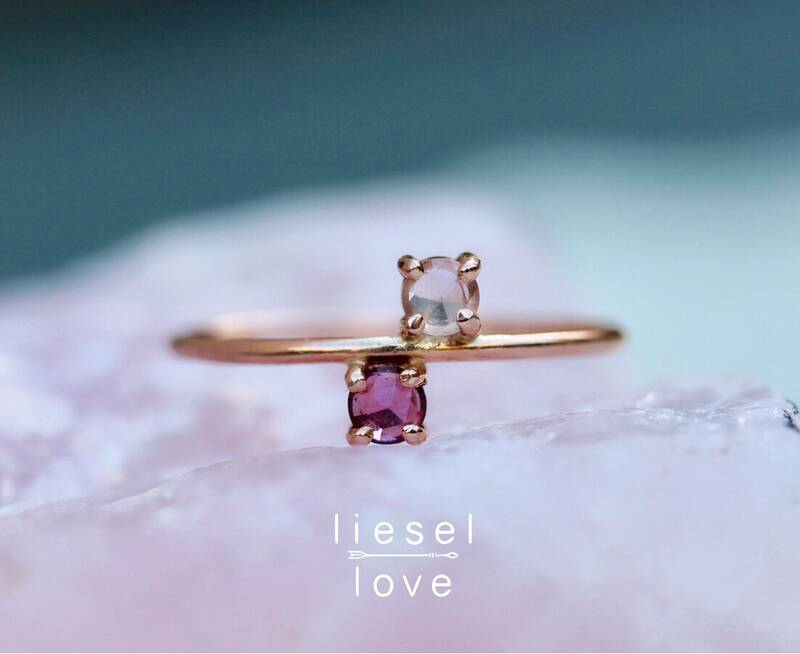 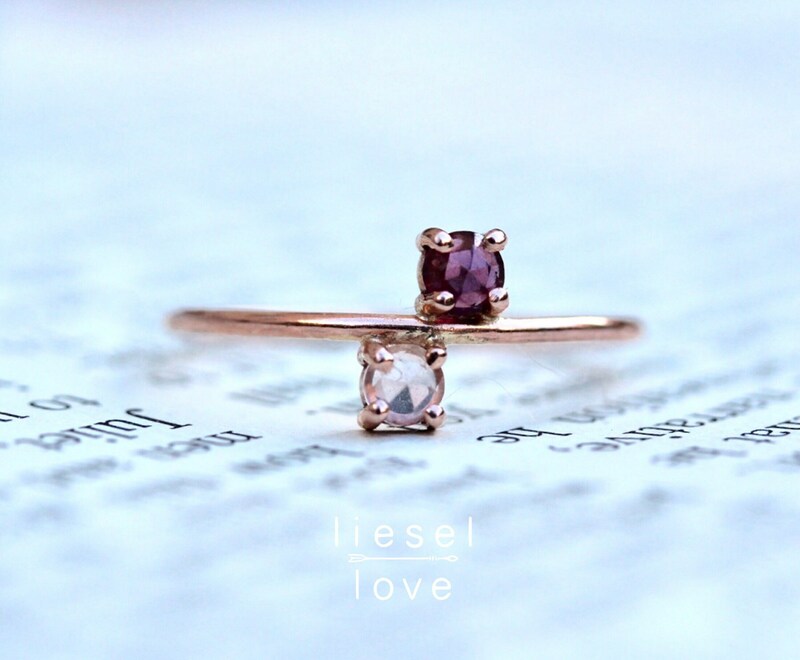 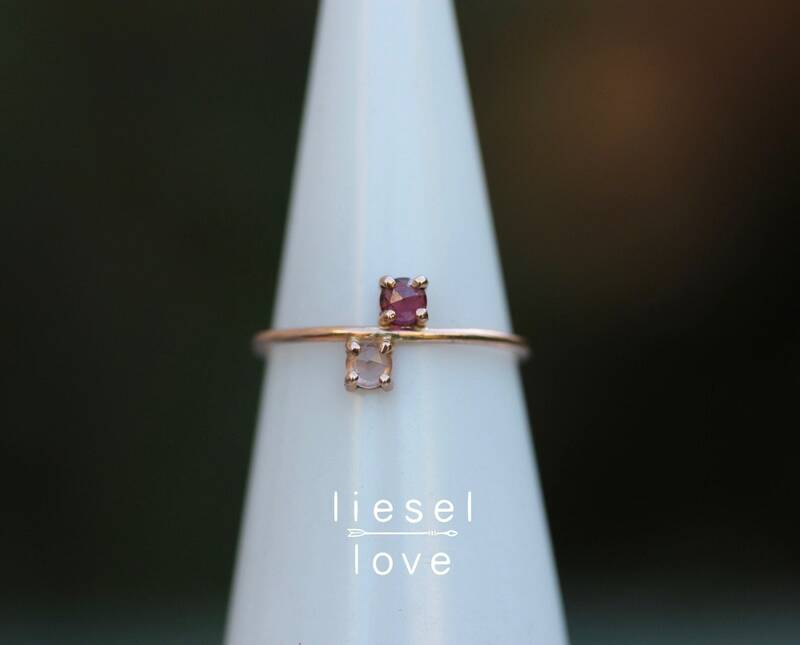 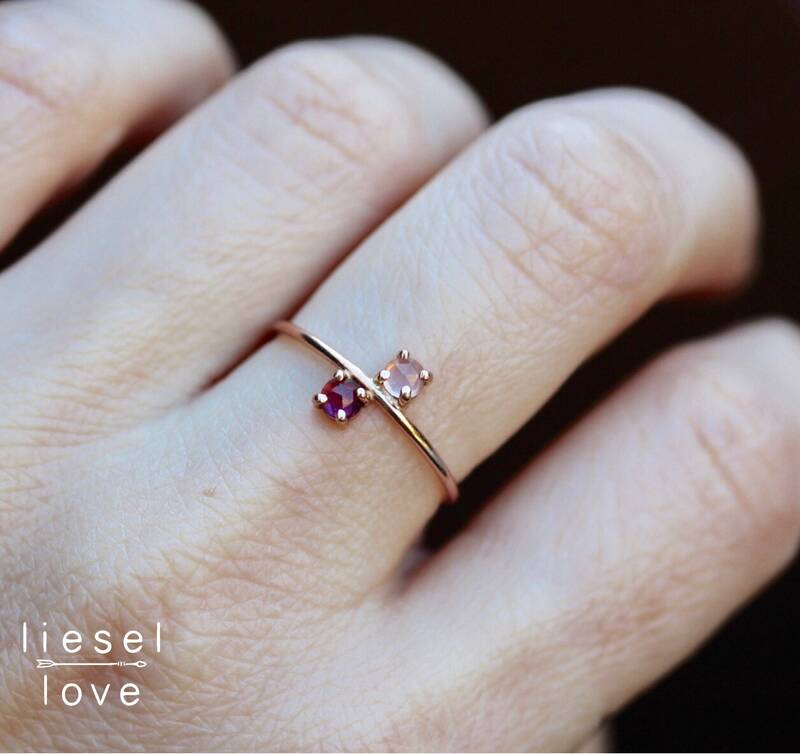 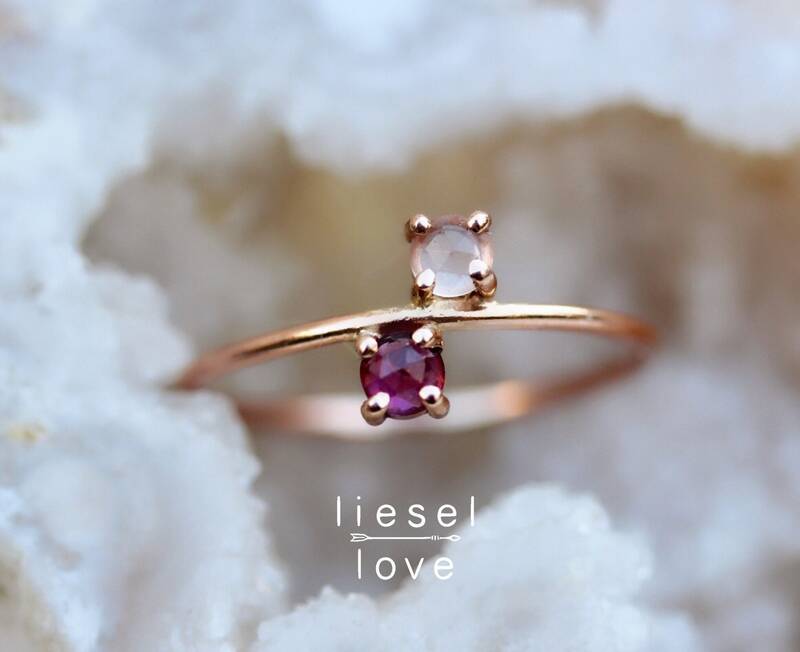 Our delicate and pretty "Rosie" ring features a rose cut rhodolite garnet stone set atop a rose cut rose quartz stone. 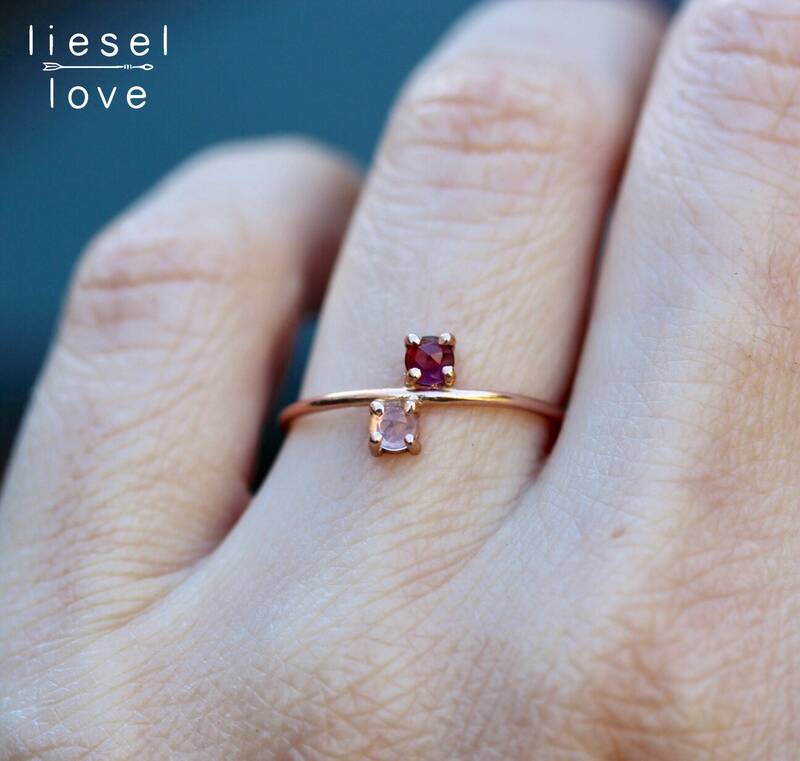 Wear it with the garnet on top or with the rose quartz on top! 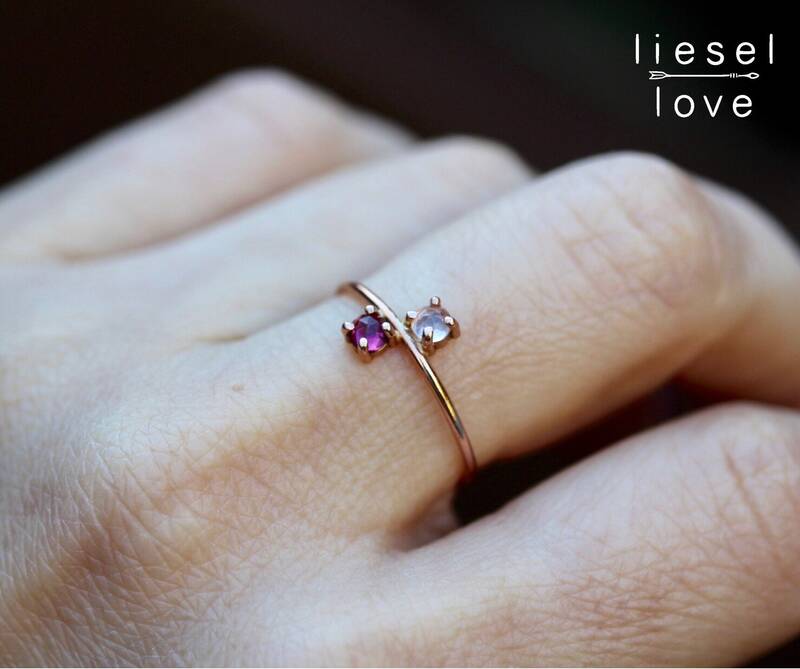 Either way you wear it, it's always lovely!